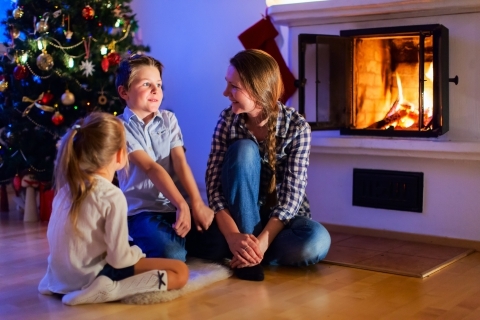 Getting to spend holiday break with your children is a gift that many parents may not receive. This is a time where you can truly bond with your child and spend time during the day that you may not get most times during the average week. However, since your children are accustomed to a schedule under our child care, it’s important to still keep the routine in their lives. Foundations for Learning in South Windsor wants to give you some tips on how to help educate your young children within our daycare preschool sections when they are not in our child care. Over holiday break, make sure you are still reading to your child everyday. One activity you can attempt is taking them to a local library and letting them pick out books of their choice. This will help them feel involved in the decision-making and it will assist you in keeping up with a stable routine. Coloring is another great way to spend time with your children, yet helping them develop different skills. Coloring gives the ability for your child to express their creative and emotional side. Once they have finished their masterpiece, display it for everyone to see! This will help them feel proud of their accomplishment. Keeping them engaged will keep them excited to come back to our child care. Making Christmas and other holiday cookies is always a fun activity you can enjoy with your child. Let them feel entirely apart of the process from getting the ingredients into the mixer to decorating the cookies once they have cooled. You can help children learn the proper placement of the eyes and nose on Frosty or you can teach them to decorate a gingerbread man. While you are making your delicious and creative treats, teach your children how important it is to stay active and healthy. One way you can do this is taking them outside to play in the snow. They will love rolling around in the fluffy white powder and you will adore watching them. While on break, this is the most important step of all when it comes to your child’s care. One example is if they are used to having nap time at 11am every day, you should try to do the same at home. Naps are crucial for children up to age 4 because this helps them stay productive and on task. Another routine element you can implement is snack and regular mealtimes. In our child care, your child will eat at the same time every day, so keep this up while they are at home. If you do these things, coming back to our child care center will be a breeze. We want you to enjoy every moment you get with your children this holiday season, but remember how crucial a routine is for their development and child care. Call us in South Windsor with any questions you may have and we will see you after break!